Two Hour Wargames announces that Heroes of the Colosseum is now in stock and available to the public. LAKE HAVASU CITY, Ariz. - June 9, 2015 - PRLog -- Two Hour Wargames (http://twohourwargames.com/) in association with Lock ’n Load Publishing (lnlpublishing.com) are excited to announce the release of “Heroes of the Colosseum.” Designed by Ed Teixeira, “Heroes of the Colosseum” brings the power of two games in one box as players battle it out as both gladiators in the historic Roman Colosseum era and also compete in all out chariot races providing furious action no matter which game players choose. • Rules to personalize your gladiators, making each truly unique. • A way to generate Non-Player Gladiators, opponents totally controlled by the game mechanics. • Two full color arenas, beautiful counters, and Roster Sheets to represent the gladiators and their equipment. • Quick to learn, but hard to master, combat rules that accurately reflect the gladiatorial way of combat. • An easy to use Campaign System, to track the success of your gladiators, as they rise in abilities. • Three different locales to fight in, from the Fringes of the Empire to Rome herself, where only the greatest gladiators can gain their freedom. • Utilize rules to personalize your charioteer, making each truly unique. • A full color Racing Oval, beautiful counters, and Roster Sheets to track your chariots. • A unique mechanic where, unlike other chariot games where you fall behind and out of the race, each player is always in the race, making critical decisions each and every turn. • An easy to use Campaign System, to track the success of your charioteers, as they rise in abilities. • A way to generate Non-Player Charioteers, totally controlled by the game mechanics. One of the exciting things about “Heroes of the Colosseum” is the fact that it can be played as a stand-alone game, a solo game against the mechanics themselves or even as a long running campaign allowing for players to keep stats for a “circuit” type of game play and constantly improve on their characters so they grow as the campaign goes on. 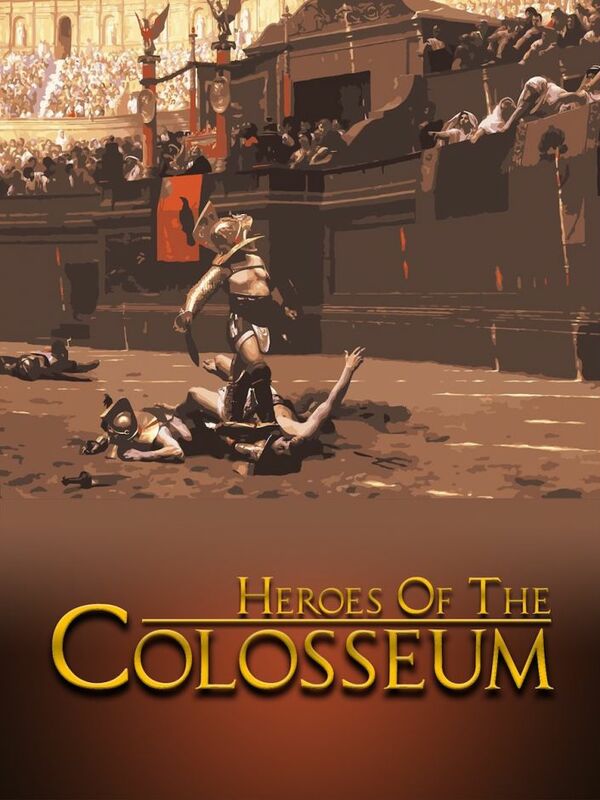 Get more information or purchase Heroes of the Colosseum from its official product page (http://lnlpublishing.com/Heroes-of-the-Colosseum). Check out the promotional video on YouTube https://www.youtube.com/watch?v=uhHvEgCzCa8 and be sure to subscribe to the Two Hour Wargame channels to see more promo videos. Box art and other art assets are available by contacting david@thelowryagency.com. THW Game Design, parent company of Two Hour Wargames, has published over 70 games. We have been in business since 1998 and have won an Origins Award for Best Miniatures Game of the Year 2006 – All Things Zombie as well as other awards. ABOUT LOCK ’N LOAD PUBLISHING, LLC. Lock ’n Load Publishing, LLC. are a leading developer-publisher in both the table-top and video games. Since 2006 Lock ’n Load Publishing has developed and published 75+ of historical, strategy and fantasy games with many award-winning titles in their portfolio spanning both digital and table-top platforms. Lock ’n Load Publishing’s mission is to provide new game designs and redefine how people play games.